During the weeks after my mother’s passing on December 4, 2016, I was particularly comforted by the invitation of my friend Abe, the bal koreh (official Torah reader) at Park Avenue Synagogue on 87th Street and Madison Avenue, to attend Shabbes (Sabbath) services and recite the mourner’s kaddish (the Jewish prayer for the dead that has no mention of death itself, remarkably). 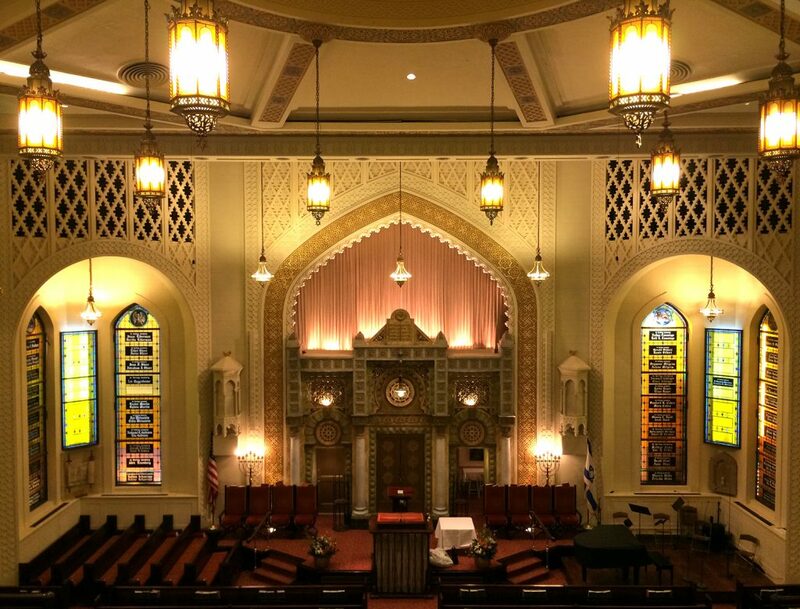 PAS is a rich congregation and it seems that few of the congregants present understand literally the Hebrew prayers being led by two if not three Rabbis, two cantors, and accompanied by a chamber music group, a small choir, and an organ. The inside of the sanctuary is sumptuously decorated, and the memorial stained glass windows are beteemed with Our Crowd names: Ochs, Sulzberger, Wimpfheimer and many others are memorialized thereon. All in all, not my accustomed place of prayer, having grown up in Oak Ridge Tennessee, where the congregants built the whitewashed cinder block temple with their bare hands and in many years lacked an ordained Rabbi. Despite the simple path, services there were packed with meaning, and many male congregants and a few females were deeply trained in Jewish religious liturgy and procedure in Northeastern and European yeshivahs. Bar Mitzvah and Bat Mitzvah meant, in a congregation where ten in a single year was a record, that the young man or woman not only read a portion of the Torah in Hebrew and chanted the Haftorah ( the supplementary reading taken from one of the books of the Old Testament other than the first five) but also conducted services exactly as the Rabbi would from the altar, from Friday evening through Saturday early afternoon, every word learned by rote, at least. The words of the siddur (the ritual prayer book) remain etched in my brain, and since becoming fluent in Yiddish with its large Hebrew component (largely taken from religious vocabulary), I can now actually understand 90% of the prayers that I have known by heart for over 53 years. As deeply ingrained in me are the melodies: the haunting minor key hymns and chants, which I heard my late father sing next to me for years with his deep, melodic, bass voice booming out. I never go to shul ( a synagogue) without remembering and missing him deeply. With that recognition and the ongoing sadness of not having a partner in life now for some time, I felt nonetheless with the beautiful melody that the cantor led, a peace and satisfaction of feeling the shekhine (the presence of G-d) all around me, watching over me, protecting me, beckoning to me as I stood and wept. I am grateful to my charismatic young mentor Abe (who in fact waltzed in in plenty of time to read the Torah) grateful to the shul, and grateful to be alive and to be able to weep. Have as good a week, my friends, as is coming to me, heaven sent on the wings of angels.